Recognize the sacrifices made by military families and their youngest members this month of April! 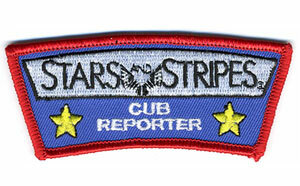 This Cub Reporter Patch is a wonderful present to the military child or “future reporter” in your life! 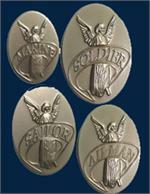 Patch measures 3.5 inches wide by 1.5 inches tall. Please, note: This patch is to be attached preferably with a heat seal machine (available at sporting good stores) or can be embroidered onto the garment. A regular household iron may be used if the material to which the patch is being affixed can tolerate high heat and pressure. The harder, the hotter and the longer you press down on the iron, the better the patch is going to hold.